The first snow of the year has fallen. It is crisp and cold yet comforting as twinkling lights bring a glow to the powdered ground. The streets are full of families bustling through shops as they prepare for the giving season. Children’s eyes are wide and expectant as they hum the tune of their favorite Christmas carol. You can almost hear the bells ringing on street corners. See the ornaments in the frosty shop windows. Feel the joy that slips through the air when normal life turns to Christmas. This isn’t a real moment or memory, but rather a picturesque version of Christmas made up of every movie and song that describes the season. Though classic scenes like this seem familiar, we know that Christmas has never looked the same for all of us. Some Christmases are more difficult than others. Many never live up to the picture we hold in our minds. 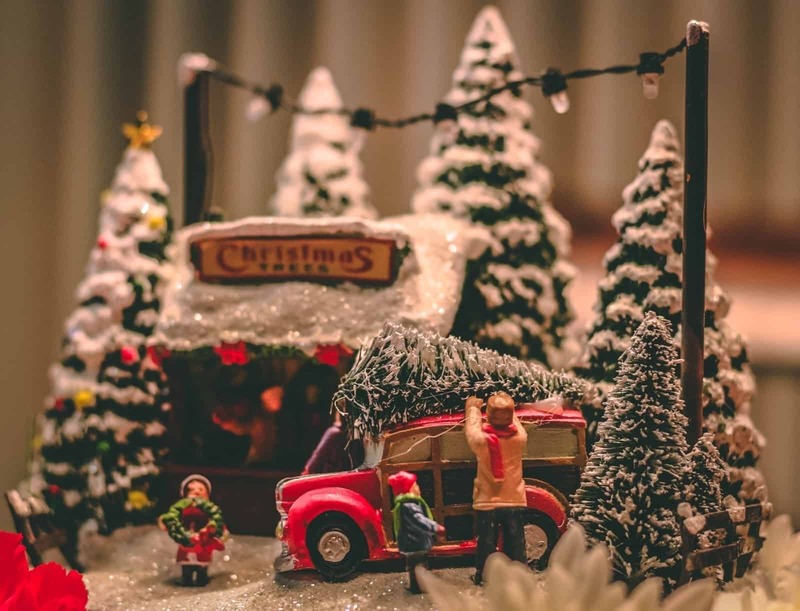 But underneath the layers of expectation versus reality, we find the foundation of joy that spreads over each Christmas every year. At Christmastime we are reminded of the constant joy that breathes life into our everyday world. This joy isn’t dependent upon how perfect or flawed each Christmas is. It is the unconditional feeling of the season, rooted in the birth of Jesus Christ. In the midst of a world full of uncertainty and pain, Christmas rushes in with the promise of joy in spite of our ever-shifting circumstances. Joy propels us as we enter life with more intentionality. It influences how we treat our families, speak to our co-workers, and interact with each person we encounter. It enables us to wake up each morning with expectancy for all that God has in store. Simply said: Joy changes us — making our dim world brighter, giving us hope for what tomorrow can hold. It is this joy that comes from Jesus that fuels all our Christmas interactions. From the gifts we give to the cards we write, we attempt to spread His joy into our world. 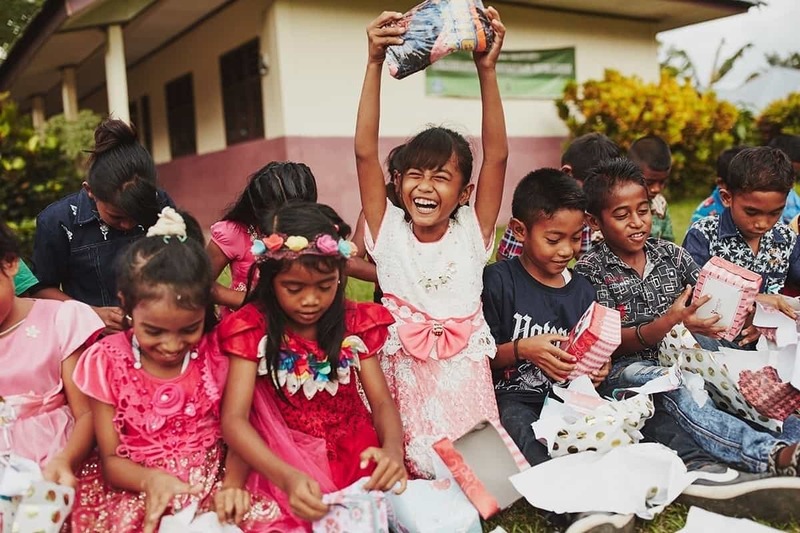 As a sponsor, you have the ability to take the joy of Christmas and spread it across the world through your words and actions. 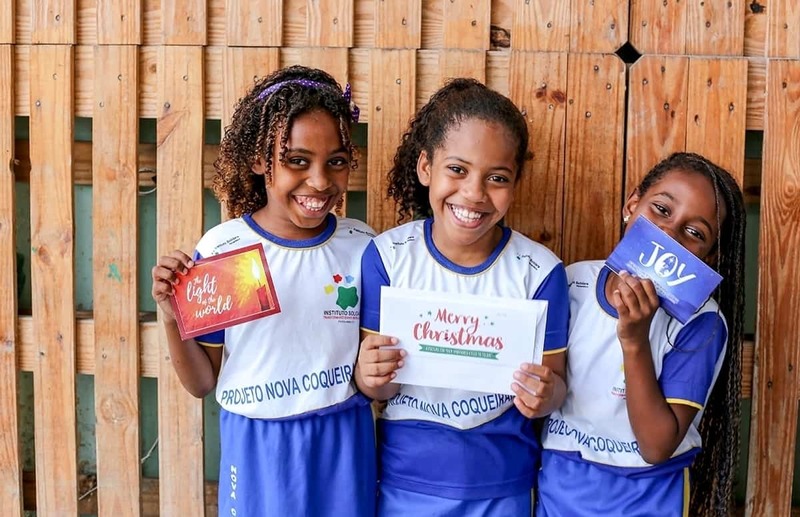 When you write your Christmas letter and send a Christmas gift, you begin a chain reaction of joy that starts in the life of the child you sponsor. You can brighten his or her Christmas by reminding him or her of the joy found in Jesus Christ. And your shared joy is contagious! The child you sponsor embraces it and takes it into his or her home and community where the joy of Christ continues to spread. 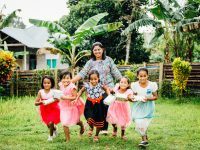 With a simple act of encouragement through words and gift-giving, you begin a chain reaction of joy that reaches far across the world. 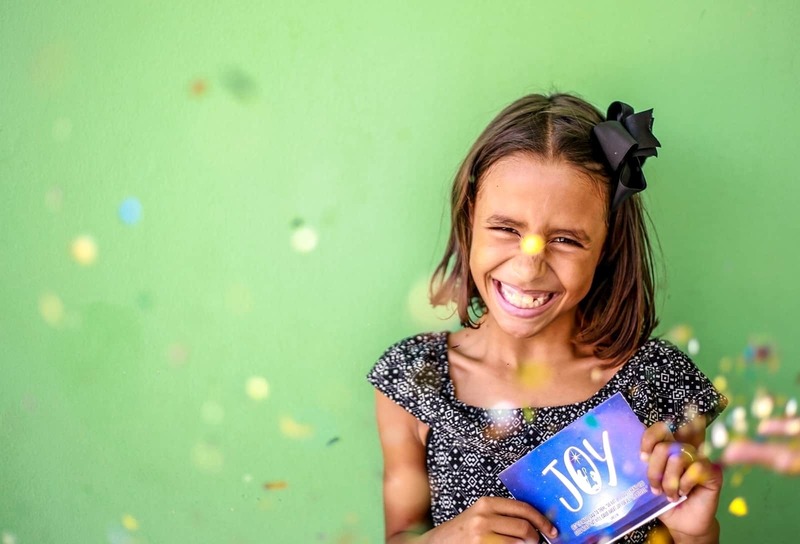 You can give joy to the child you sponsor with a Christmas gift and letter. 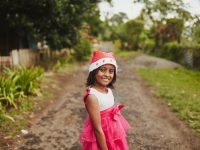 If you don’t sponsor a child, you can still spread joy by giving a Christmas gift to a child in need. Im q brand new sponsor. 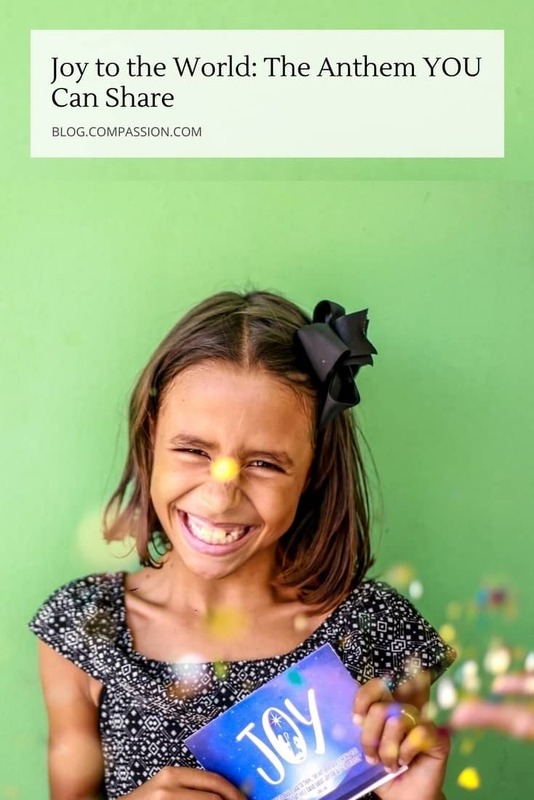 Is it possible to send an actual gift instead of money to my child? Hi Bonnie! Thank you so much for your heart for this ministry and for the love you have for sweet Anette! We appreciate your desire to bless your kiddo in a very tangible way. Regrettably, we are not able to send packages or non-paper items to your child. However, there are other fun ways to bless your kiddo too! Along with a personal letter, you can send: stickers, bookmarks, musical greeting cards, and pop-up cards. These items will be physically delivered to your child. Please keep in mind that items sent without a personal letter will not be delivered to your sponsored child. You can also send: letters, photos, postcards, greeting cards, coloring pages and paper crafts. However, your child will not receive the original items. The items will be scanned and sent electronically. The total number of items (including stationery and the letter to your child) should not be more than six sheets, and each flat paper gift item should not be larger than 8.5” x 11”. If you have any further questions about our letter writing guidelines, more information is available here. Thank you so much for blessing your sweet child with your love and support! Great sharing on the essence of human life on earth. God bless you all.